Geert-Jan Houben is full professor of Web Information Systems at the Software Technology department at Delft University of Technology (TU Delft). His main research interests are in Web Engineering, Web Science, and User Modeling, Adaptation and Personalization. He is managing editor of the Journal of Web Engineering (JWE), editorial board member for the Journal of Web Science (JWS), the International Journal of Web Science (IJWS), the New Review of Hypermedia and Multimedia, User Modeling and User-Adapted Interaction (UMUAI), and ACM Transactions on the Web (ACM TWEB). Previously, he studied computing science, got his Ph.D. with a thesis on complex objects databases, had several consultancy jobs with consultancy firms in the Netherlands (e.g. Bakkenist, BSO, Origin), held a position in the ADREM group in the Computer Science department of the University of Antwerp, was leading the Architecture of Information Systems (AIS) group in the Computer Science department of the Technische Universiteit Eindhoven, served between 2001 and 2004 as the chairman of the board of the Computer Science department in Eindhoven, was associated with the INS2 group at CWI in Amsterdam, was a guest-professor at the University of Antwerp, was the director of the Business Information Systems (BIS) master program in Eindhoven, was between 2005 and 2008 full professor of information systems at the Vrije Universiteit Brussel (VUB) and co-director of the WISE laboratory for Web & Information System Engineering, and was at VUB member of the board of the faculty of Sciences. In 2008 he joined TU Delft. In Delft, he is scientific director of Delft Data Science (DDS), TU Delft’s coordinating initiative in the field of Data Science, holding the KIVI-chair Big Data Science, leading TU Delft's research program on Open & Online Education in TU Delft Extension School, and principal investigator in AMS, Amsterdam Institute for Advanced Metropolitan Solutions. 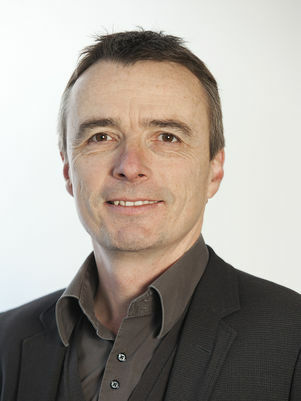 He is currently serving as Director of Education at the faculty of Electrical Engineering, Mathematics and Computer Science at TU Delft.